Hello friends! Today, I am sharing a FabFitFun Spring Box Sneak-Peek. This is an insider’s look at the customization process for annual members and the product options for this season’s FabFitFun box. 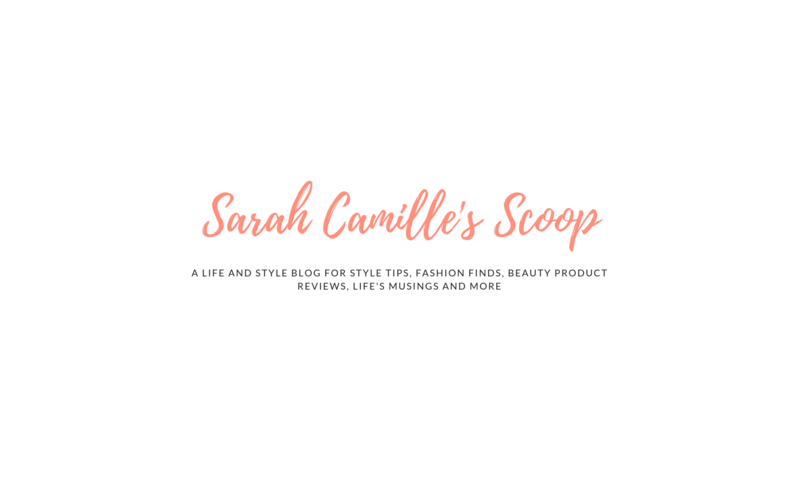 I have talked a lot about this subscription box, and while I love to share what’s inside my boxes after I arrive, I thought I would switch things up for you. But before we dive in, let me give you some background information on the subscription box options with FabFitFun. FabFitFun sends its members a box each season with a mix of beauty, wellness and fashion products, many of which are fun practical, fun pieces that fit the season we’re entering. Boxes are sent in March, June, September and December. There are two membership options – annual and seasonal. With the annual subscription you pay $179.99 upfront for your first four boxes. That’s $45 for each box. Annual subscribers also get early shipping and the perk of picking out all the contents of their FabFitFun box. Seasonal members can only pick a few items out and everything else is random. With a seasonal membership you pay $49.99 per box and you are billed per season. You can opt-out whenever you’d like. In addition to the box and all its contents, all FabFitFun members get access to beauty tips, workout videos and coupon codes for the box’s featured brands. I chose the annual membership because I really like the customization options, and I just love this subscription box in general. The quality of the products is amazing and the value of the whole box always has me in awe. I could easily buy one or two products for the same price as the box. Before each season, I get an email detailing the FabFitFun schedule and when customization will open. It’s always exciting to see the product options and pick out what will go in your box. Here is what the customization process looked like for the spring box. I just went through each of these and chose what I liked best. The options I chose are in bold too! NOTE: For this customization, I wanted to show you what it looks like once you select a product. You can easily add multiple products to your box for $10 each. Talk about crazy savings! PRO TIP: I have gotten really affordable gifts this way. The items below are included in every FabFitFun box this spring. I can’t wait to try all of these, but especially the Dr. Brandt Eye De-Puffing Gel. I love the Dr. Brandt skin exfoliant that I have shared before, so it will be fun to try one of their new products! Now, there you have it! I am super excited about the products I selected for my spring FabFitFun box and can’t wait to try them out. I think I might be most excited about the Quay sunglasses I picked out. It’s so cool to me that I could buy those sunglasses for the same price as this whole box. Click here for $10 OFF your first FabFitFun box! Now, I’d love to hear your thoughts on subscription boxes. Are you a FabFitFun select or annual member? Did you like seeing a sneak peek of what’s inside this season’s box? I would also love to know if there are any products in the FabFitFun spring box that you are eyeing for spring. Are there any similar subscription box programs that you have tried and recommend? Tell me all your thoughts in the comments! I’ve heard so many good things about this box! Looks awesome! Love the picture you used and I cannot wait to get my box! I don’t have this subscription box but so many great goodies. Ooooh, this looks like a fun and inspiring box! I can’t wait to read about your first unboxing! These boxes are so amazing! I am always so hesitant to sign up for these things because you never know what you will actually get. I will have to look into this now! I’ve heard of these boxes but had no idea you an customize them! This is so helpful!! 🙂 How fun. My subscription boxes were getting a little out of control for a while, but I have been looking at this one. There are always such great quality products and a great way to get some gifts – as you pointed out. I didn’t realize there were so many ways to customize. Thanks for sharing!! I had no idea there were customizable options! And there are so many great options to choose from! Will definitely consider this subscription box in the future!